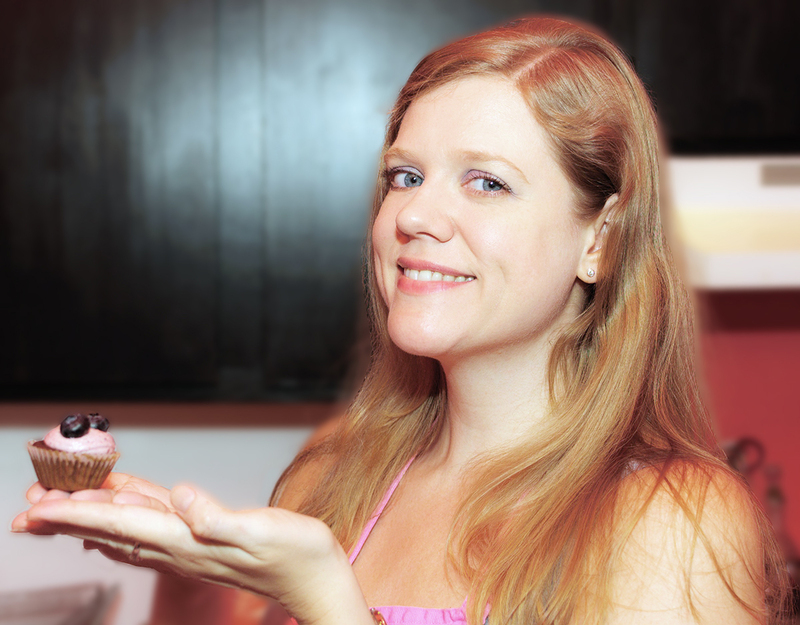 I can’t bake all the time, and sometimes it is nice to enjoy cupcakes baked by someone else! I’m also interested in what other people are doing, what established bakeries–big names and the little guys–are creating and selling, and what their shops are like. Our next stop was Amy’s Bread. Again, I chose a bakery better known for goods other than cupcakes. Amy’s has been around awhile, almost 20 years, and first garnered a following for their artisan breads. I’d also read that they have fine cupcakes, though, so I added it to my list. Feeling we needed to ramp it down a bit to avoid sugar comas, we decided to just get one item here. 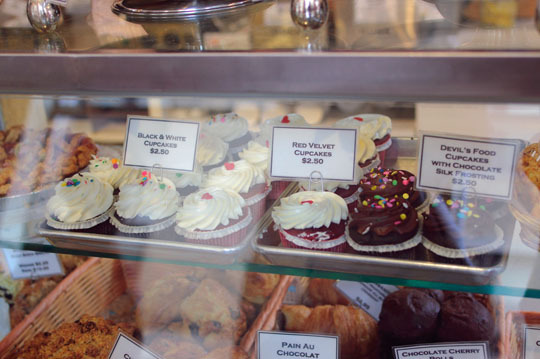 The staff was very friendly and applauded my choice of the red velvet for our cupcake crawl crew to taste. I loved the packaging Amy’s uses. I thought the upside-down paper soup cup as take-out container was clever, and I especially liked the doubled-over cupcake wrapper that made it a cinch to unwrap. Where can I get some of those? The red velvet cake was paired with buttercream frosting, not cream cheese frosting as you normally find with red velvet. It was very buttery, though one of my companions noted what she thought to be a touch of sour cream. 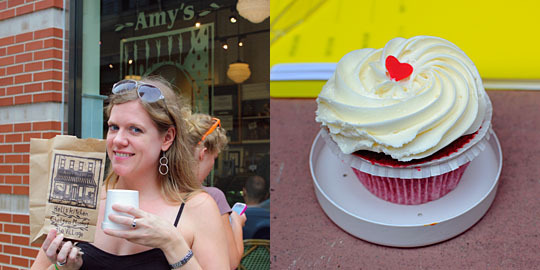 The cupcake was cute, topped with a tiny red heart, and it wasn’t bad at all, but it was less memorable than some we tasted that day. There are all sorts of baked goods at Amy’s–everything looked great–and I feel I need to explore the offerings further in the future. Have you been to Amy’s Bread? I’d love to hear your comments. Many thank yous to Doug, Jill, Stephanie, Beth, and, as always, my photographer and boyfriend Jason for joining me on the very first Cupcakes by Amélie Cupcake Crawl! I hope the sugar high didn’t make you do anything outrageous later. More photos from this post can be found in the Photo Gallery!